Don't have money to burn at the local craft store? Fret not: Mother Nature has you covered. There are plenty of items right outside your door that work as craft supplies and allow you to make really cool DIYs for a fraction of the cost of traditional craft items. 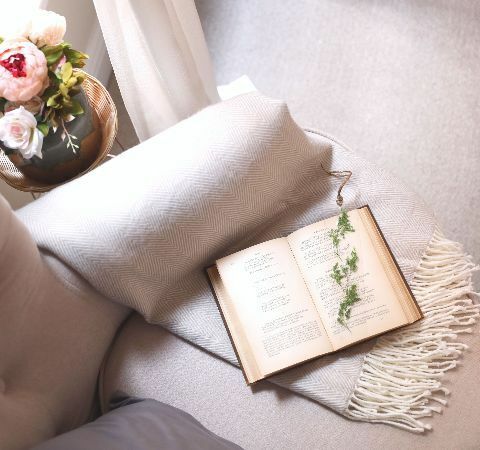 From rocks to pinecones, branches and leaves, there are many ways to repurpose what's already in front of you into beautiful crafts you can use to decorate inside and outside your home. Turn pretty pinecones into beautiful, colorful flowers with this easy DIY project. 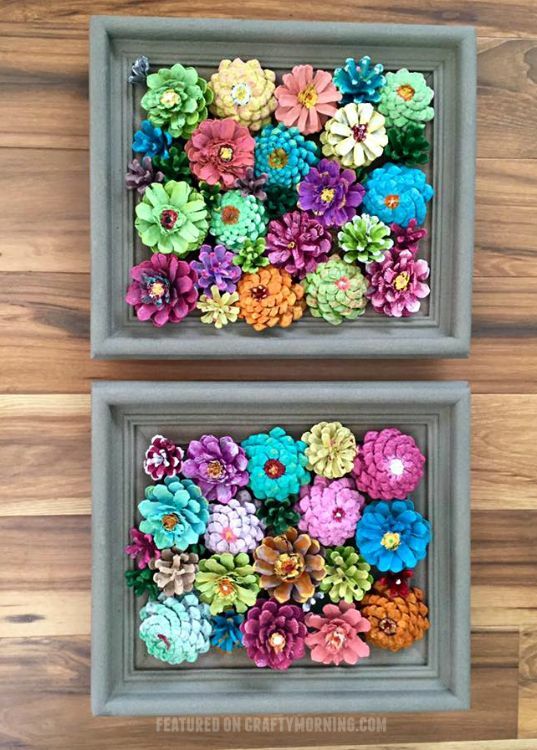 You only need a few items to craft a frame that will have guests doing a double take when they find out these are not flowers but pinecones. Use different colors for a seasonal effect, such as reds or silvers for Christmas or do a multicolored look for a sweet spring decoration. Painted rocks are popular now, and kids especially love painting, playing with, hiding, and finding them. 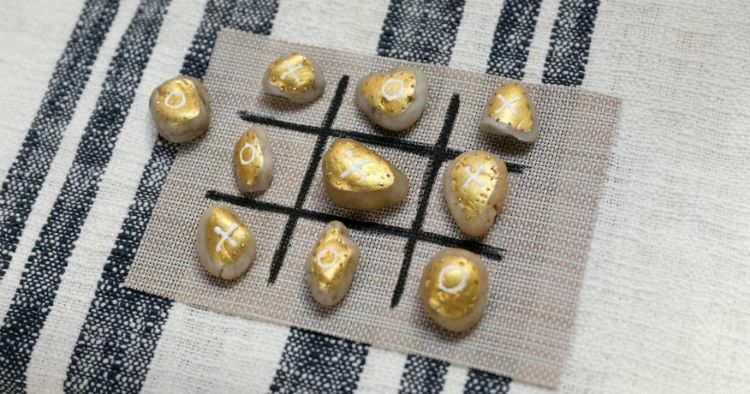 Turn small rocks into a portable travel game kids will love to play, just right for keeping in your bag for moments when kids get bored on the go. Get the full tutorial here. Use flowers, leaves and branches to make standout art that you don't need an art degree to create. Decorate walls on a dime with this simple DIY project that uses flowers and spray paint to make one-of-a kind pieces that look like something that cost much more. Experiment with different colors and textures. Get the full tutorial here. Use colorful leaves and flowers to make beautiful natural bookmarks that are simple to make. This might be a fun DIY project to do with kids. A fun gift for teachers or friends, these bookmarks are inexpensive and you probably already have the items on hand to craft them today. Most people don't look at acorns scattered on the ground and think "Wow – those would make lovely jewelry! After you see this DIY project, you might change your tune. 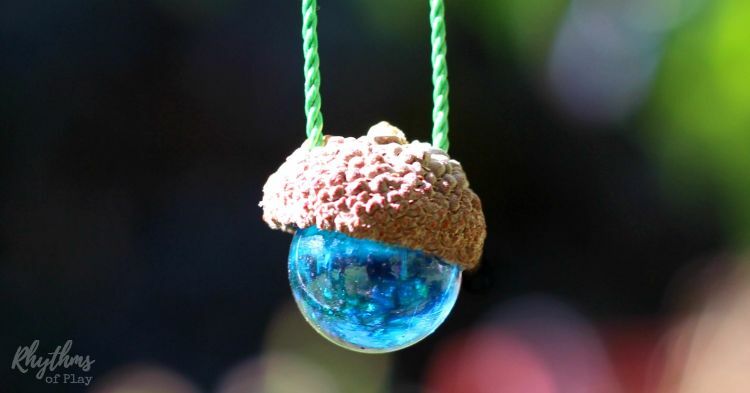 Using colorful, shimmering marbles and small acorns, you can make the cutest handmade necklaces that will have everyone asking "Where did you get that?" They're rustic, cute and fun for any age to put together. 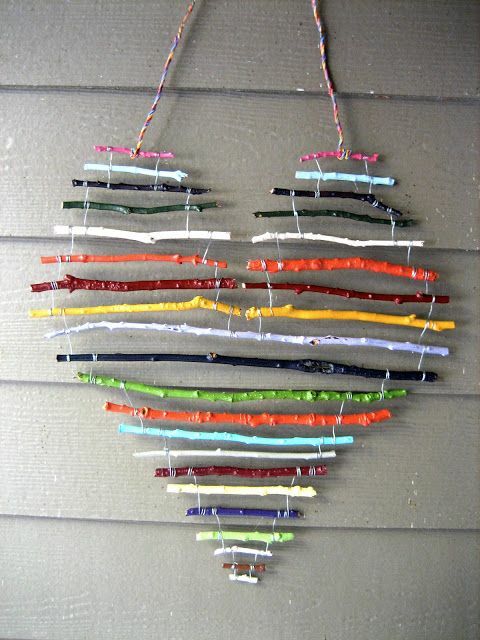 Use slender twigs to create an adorable heart mobile. Painted twigs make a smile-worthy decoration you can hang inside or outdoors. Easy to put together, this mobile is a fun way to use all those twigs you're always tripping on outside! 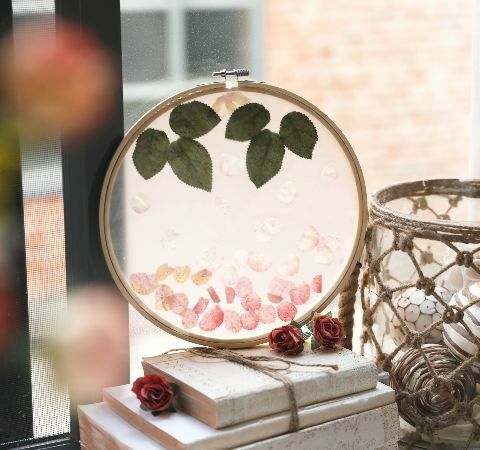 Leaves, flowers and twigs transform into awe-inspiring suncatchers. Make your window come to life when you hang up these fun to make pieces of art, and watch the sun stream through the many colors and textures. Get the full tutorial here. Take advantage of the pretty reds and oranges of fall leaves by turning them into a gorgeous candle holder that will look pretty as a table centerpiece. You can use a holder of any shape or size and mix and match them for an eye-catching decoration that glows beautifully. If you've waited to long to gather real leaves, substitute fake ones. 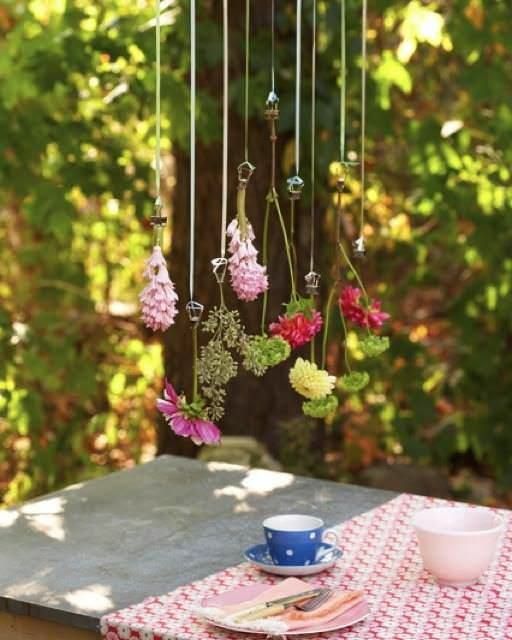 Use all those lovely spring wildflowers to make a garland you can hang just about anywhere. 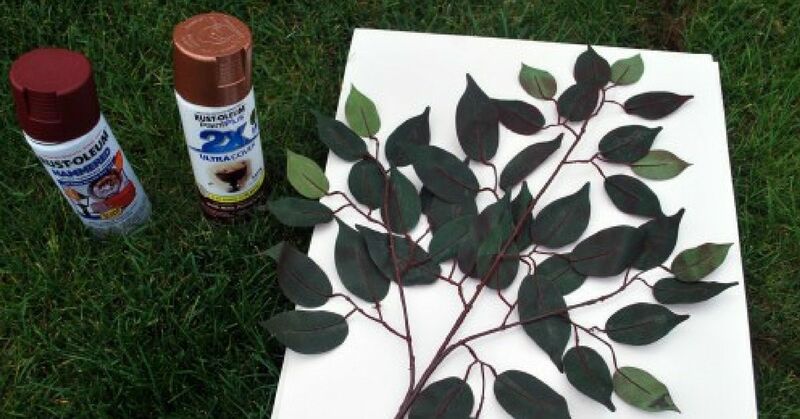 This DIY project takes only a few minutes once you gather supplies, and it looks naturally beautiful. Mix a variety of colors for the most effective look, and keep in mind it won't last long but will be so pretty while it does. 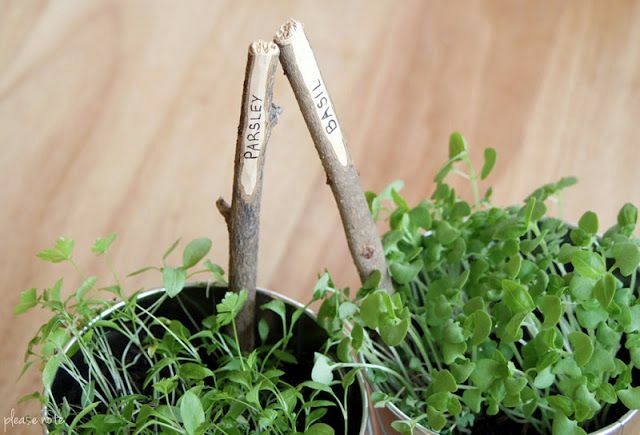 A simple but genius idea, DIY plant markers made from twigs add a cute and rustic charm to an indoor or outdoor garden. You only need a couple of items to quickly make these markers in minutes, and you'll love the way they look. 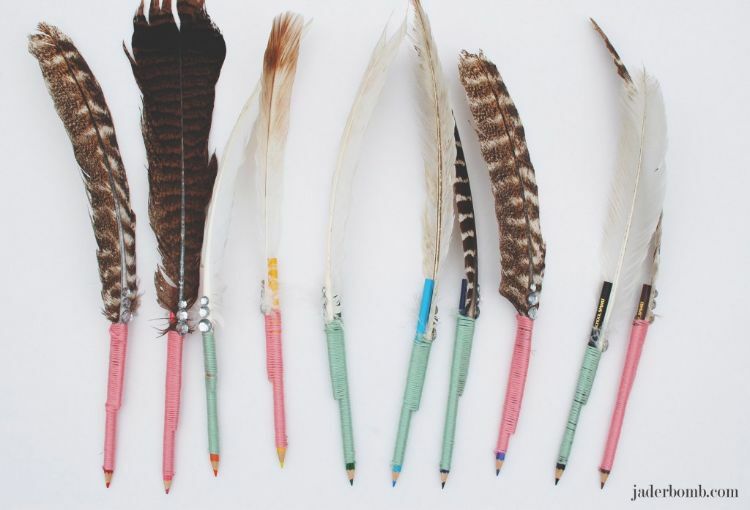 Pick up loose feathers from the ground and turn them into charming and cute pencils. There are many ways to use feathers in crafts, but this way you can enjoy your feathers every day when you pick up a pencil or pen to write a note. Twigs have a unique look you can't duplicate with manmade materials. 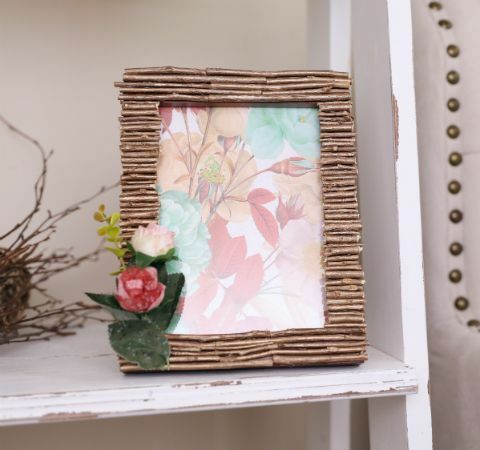 These unique photo frames are cheap and easy to make. 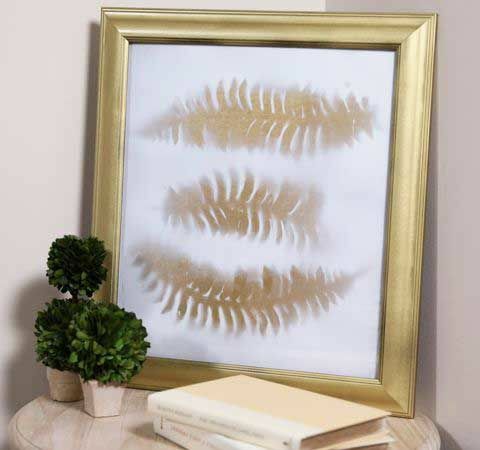 Frame a favorite photo or a collage of leaves in a cool twig frame. Learn how to create the art inside the frame with the full tutorial here.